The first primary research article chosen for the assignment is “efficacy and safety of evolocumab in reducing lipids and cardiovascular events” by sebatine et al. (2015). This randomized control trial focussed on exploring longer term data on the ability of evolocumab therapy on reducing the ldl cholesterol levels in the patients. The research method chosen by the authors of this article is in two phases, both implementing open label randomized control trials which has effective enrolled 4465 patients that have been previously continued with parent trials of evolocumab therapy. The choice of open label trial, which is a kind of clinical trial in which both the participants and the researchers are in full knowledge of the exact kind of treatment being administered. This eliminates the probability of any unethical business practices considering that is a research involving human subjects and it also adheres to the requirements of ethics and informed consent, which is undoubtedly commendable. The sampling of the research, staying true to the design selected, had been completely randomized regardless of the sampling design of the parent trials, which enhances the authenticity of the results and reduces the probability of bias (mccuske & gunaydin, 2015). The exact research process is not illustrated in critical details for the assignment which undoubtedly is one of the limitations of the study. The results indicated the fact that the usage of evolocumab therapy used with the standard therapies was successful in reducing the ldl cholesterol levels in the patients which in turn reduced the incidence of the cardiovascular adverse events as well. Regarding the ethics that have been followed, the open label trial is a strength and the authors have also mentioned the chosen protocols for the osler-1 and osler-2 trials to be approved by the relevant ethics committee at each participating site (sabatine et al., 2015). Hence, it can be considered that the authors of the article had been successful in meeting the objectives while following key ethical requirements. The research topic can be considered relevant to the concurrent health issues that are predominating thee health status of the australia, as discussed by the statistical information shared by the national local authorities, the cardiovascular diseases are one of the greatest contributing factors to hospitalization events. Along with that, the data also reveals the fact that within the last five years, cardiovascular diseases or adverse events had been the sole cause of 490,000 hospitalisation events in australia. Hence, undoubtedly the alarming number of patients struggling with cardiovascular disorders and coronary arterial diseases indicates at the need for this heath condition being a priority (aihw.gov.au, 2018). The evolocumab therapy had been introduced in the clinical care scenario like a miraculous intervention which targets one of the key underlying factors leading to cardiovascular events leading to mortality and disability. 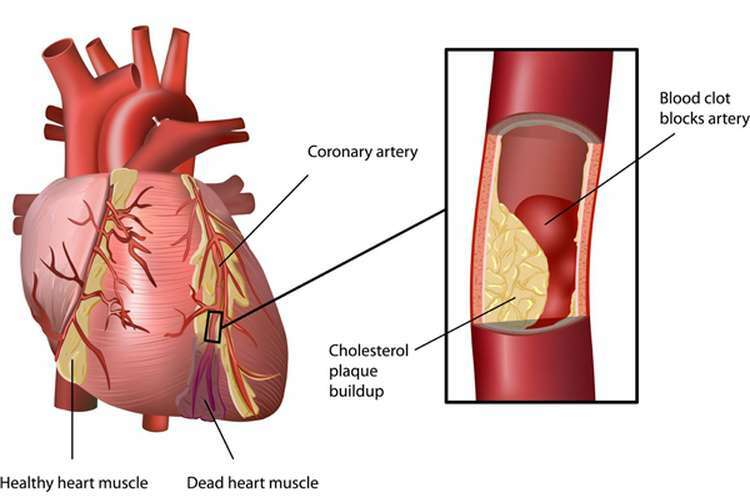 The mechanism of action followed by this therapy is to bind to the pcsk9 and prevent it from binding to the ldl-c receptors present on the liver surface and eventually restricts the degradation of the ldl receptors completely. As a result, due to the loss of functionality of the pcsk9, there is higher availability of ldl receptors on the surface lining the liver which can effectively remove more ldl-c from the blood. Hence, this is a safe and effective technique for reducing the cholesterol level patients with arteriosclerosis leading to different coronary disorders. Hence, the research question focussed on the evolocumab therapy which can benefit the target patient group avoid the risk of cardiovascular adverse events. In case this therapy is integrated with the national strategic framework for chronic disease management, it is benefit millions of patients struggling with cardiovascular condition and will also help in reducing the mortality rates associated with this particular chronic disease (health.gov.au, 2018). The first primary research article evidence chosen for this review helps in laying the foundation for this critical discussion. Recalling the key data findings of the research article, it has to be mentioned that the integration of the evolocumab therapy with the standard treatment regimen generally followed for the cardiovascular disease patients was successful in reducing the cholesterol levels to 61%, which is a commendable reduction levels. The article further discusses the fact that the medicine was administered at a pre-treatment median level of 120 mg per decilitre to a 12-week on-treatment median level of 48 mg per decilitre. The authors have also discussed the fact that the results of the long term study was consistent with the short term parent trials, which was one of the main factors being explored in the study. Hence, it can be mentioned that the effectiveness of reducing the incidence rate of cardiovascular events is quite high in case the standard therapy is assisted by evolocumab therapy (sabatine et al., 2015). Although the research has not provided any insight on how effective this therapy is when administered independently replacing the standard therapies completely. The second article discusses the effect of the evolocumab therapy on the statin treated patients. Nicholls et al. (2016) in this glagov randomized control trial study have discussed the fact whether the evolocumab therapy can slow the progress of the coronary diseases even in the patients who had been treated with statin therapy. The primary aim of this article was to check the impact of the pcsk9 inhibiters of the progress of the coronary disease and whether it has a considerable impact on the coronary atherosclerosis in statin-treated patients. In contrast to the previous article reviewed, this particular research study has followed a double blind study design, which indicates that neither the researchers nor the patients knew what the patient gets. It has to be mentioned it enhances the authenticity of the study and reduces the chances of the personal bias (johnston, 2017). In this case the dosage of evolocumab was higher at mg which was administered via subcutaneous injections and the timeframe for the study had been 76 weeks. The findings revealed that the patients with evolocumab therapy had significantly low ldl cholesterol levels, validated by both the primary and secondary efficacy parameter. Elaborating further, the article revealed that the integration of evolocumab with statin therapy also reduced the percent atheroma volume as well, which indicates effective regression of coronary atherosclerosis. The only limitation of this study had been not knowing whether similar effects would be observed in asymptomatic patients receiving statins for secondary prevention (nicholls et al., 2016). The third article by sebatine et al. (2017) emphasizes on the clinical outcomes of the use of evolocumab therapy among the patients with cardiovascular diseases. The open blind randomized trial involved 27,564 patients. The primary aim of this article is focussed on the fact that although the effect of evolocumab has been seen to reduce the ldl cholesterol levels effectively, the actual impact on reducing the cardiovascular events is still not clearly known. After 48 weeks of the patients receiving 140 mg evolocumab every 2 weeks, the database system findings indicated the therapy can in fact lower the chances of cardiovascular events by lowering the ldl-c levels up to median of 30 mg per decilitre. Although the short duration of the intervention is a considerable limitation (Bialystok et al., 2015). A very important aspect of evolocumab therapy is the cost-effectiveness. The study by fonarow et al. (2017) focused on checking the exact status of the cost-effectiveness of the evolocumab therapy for cardiovascular patients. The study design for this research article had been markov cohort state transitional model which attempted to bridge the gap in the available literature with respect to the long term cost effectiveness of this therapy when implemented in practice. The data findings of the article include the fact that the implementation of the evolocumab therapy to the standard treatment regimen involving the statin therapy exceeded the generally accepted cost-effectiveness threshold. Hence there is need for both national and global efforts to reduce the cost of this excellent therapeutic intervention so that it can be included in the national strategic framework for chronic disease management. The articles mainly focussed on researching the effects of the therapy when integrating the effect of the therapy when combined with the standard therapy, especially the statin treatment; which undoubtedly added to the cost of the entire intervention. The intervention involving the evolocumab had excellent results in reducing the blood ldl-c levels of the patients; hence this is a promising strategy to reduce the cvd mortality (tanaka et al., 2017). However, in order for this intervention to be implemented in clinical practice in large scale, it is very important for the intervention to cost effective. The available research on this topic lacks any study to only focus on the effectiveness of the evolocumab therapy administered independently devoid of any assistive therapy, which if effective can surely reduce the cost of the treatment drastically(nicholls et al., 2016). Hence, it is a considerably relevant for further research. The recommended design for the future research is a pilot randomized control study which will be precise, efficuient and cost effective in determining the impact of the evolocumab therapy on its own before the research can be carried out on a larger scale. 5. Health.gov.au. (2018). Department of health | national strategic framework for chronic conditions. [online] available at: http://www.health.gov.au/internet/main/publishing.nsf/content/nsfcc [accessed 28 sep. 2018].